Facebook has rolled out Windows and Mac desktop apps for its Workspace enterprise chat tool. Workplace Chat is the business equivalent of the company’s popular consumer Messenger app, which has 1.2 billion monthly active users. The chat platform is available as part of the Workplace enterprise social network, which is now used by more than 14,000 organizations; Wal-mart most recently became a customer. Until now, Workplace Chat was only accessible via mobile app or through a web browser; Facebook launched its enterprise collaboration platform in October 2016, offering features such as voice and video calling. The beta launch of the desktop client, which TechCrunch reported last week, will make it easier for employees who tend have many browser tabs open at once to view notifications. It is reportedly one of the most requested features from customers, and will be tested with beta users ahead of a wider roll out. Workplace customers who want to download and test the beta version of the desktop app can do so now. The app works with 64-bit Windows systems running Windows 7 and above and for Macs running macOS 10.9 (Mavericks) and above. Workplace comes in two versions, Standard and Premium. The Premium version allows corporations adopting it to use their own identity management service for logins, and to police content according to their own policies rather than Facebook's standard terms and conditions. Its use requires the creation of a corporate account, and individual logins using corporate email addresses. 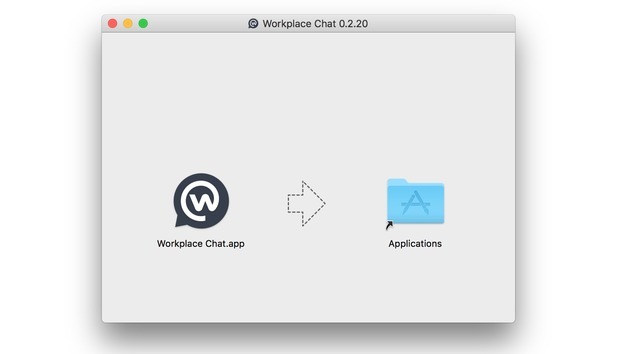 The Workplace Chat app works with Standard and Premium versions of Workplace, and requires a corporate email address to log in. According to Facebook, the app will autoupdate, so beta testers should automatically be provided with the final version. Screen-sharing capabilities have also been added to aid collaboration – a feature that rival Slack only added in May. That allows users to share video of their entire desktop or just certain applications to avoid providing access to sensitive information. With its move into the enterprise, Facebook Workplace faces significant competition from a range of established vendors such as Jive, Atlassian, Microsoft and Slack. Despite the success of its consumer social network platform, Facebook still has a way to go in terms of winning over corporate users. The desktop app will help Facebook better support staff productivity, according to Raúl Castañón-Martínez, senior analyst at 451 Research. “A desktop app will provide a ‘go-to’ workspace for employees,” he said. “Integration to business communications tools and third party applications – which Facebook has already started doing – will make it the place where employees get work done, receive notifications and interact with co-workers. Workplace Chat is a rare example of desktop software from Facebook. Although it launched a Windows app for its Messenger in 2012, the app was shut down two years later. With reports from Peter Sayer of the IDG News Service.